Midtown Manhattan sushi joint Sushi Yasuda, acclaimed for its authentic Japanese dining experience, is taking its Far East ambiance a step further — by eliminating tips. "The reason we did it that way was because in Japan, that’s how it’s done," co-owner Scott Rosenberg told the New York Times. In lieu of gratuity, Sushi Yasuda has increased the price of its (already pretty pricey) rolls, tacking on an additional 15% service charge. "What our customers find is that they’re essentially paying the same," Rosenberg told Bloomberg food critic Ryan Sutton, "maybe a touch less, because we’re a little more conservative about how we adjusted our prices." Other restaurants, like Thomas Keller's Per Se, have introduced a 20% service charge to the bill, but have stopped short of prohibiting tips. 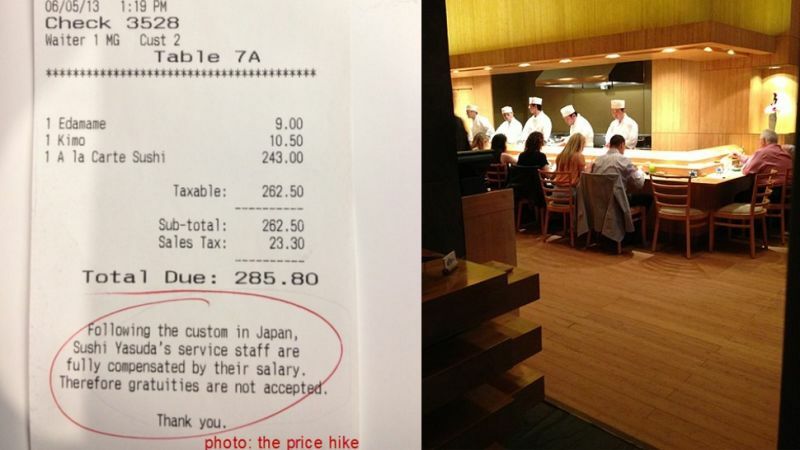 At Sushi Yasuda, tips are not allowed, and there is no tip line on the bill. Instead, there is a line informing customers that "Sushi Yasuda's service staff are fully compensated by their salary." 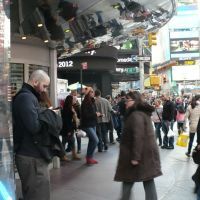 Though the move seems in-line with the longstanding European tradition of reducing the reliance on tips in order to provide the waitstaff with a living wage, Rosenberg says the servers at his restaurant have been "salaried from day one," and even have a generous benefits package that includes vacation and paid sick days. In fact, the tips until now were not being split among the staff — they were going directly into the restaurant's pockets. Rosenberg says customers have embraced the new policy, and there has been no loss in volume. That being said, some patrons are still having a tough time wrapping their heads around the concept, and are insisting on leaving tips behind. Rosenberg says he was unhappy to learn that the tips were still being collected, and vowed to count the cash left on the table to ensure that any extra will be returned to its rightful owner.